An engaging and accessible introduction to Christianity’s relationship with other world religions, addressing the questions of why the reality, and vitality, of other religions has become a challenge, and showing how Christianity is equipped to deal with religious plurality at both the doctrinal and social level. 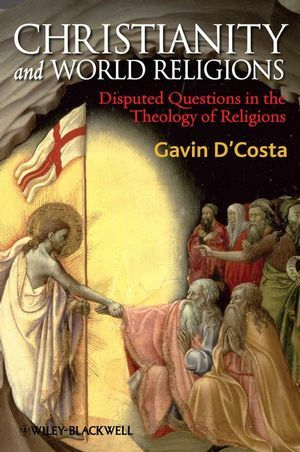 Gavin D’Costa is Professor of Christian Theology at Bristol University. He also works with the Church of England and Roman Catholic Committees on Other Faiths, and the Pontifical Council for Other Faiths, Vatican City, advising these communities on theological issues. He is the author or editor of numerous books, including Theology and the Public Square (Wiley-Blackwell, 2005), Sexing the Trinity (2000), and The Meeting of Religions and the Trinity (2000). 1: Words and worlds: ‘world religions’ and ‘Christian theology’. 2: Checking our baggage: twentieth century non-theological influences on our field. 3: Who’s in and who’s out? : the salvation of the non-Christian. 4: Engaging the other: the meaning of the religions in their concrete forms. 5: The public square: the clash of religions?.